Candy drink garnishes have been popular for some time. A few years ago, bar chefs experimented with Pop Rock drink rimmers, and fellow bartenders took off running with creative candy garnishes. · Add a gum ball to a glass of champagne. It’s a grown up version of adding Jolly Ranchers to Zima (RIP Zima). 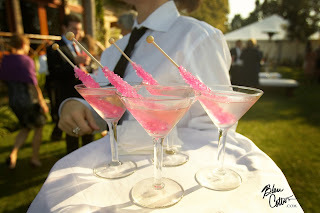 · I LOVE the look of rock candy on a stick. Place it horizontal over the rim of a martini glass. 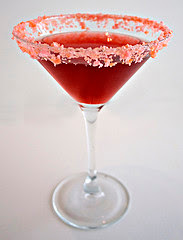 · This can be tricky, but at Valentine’s Day, add a Hershey Kiss to the top of a martini glass. To balance the Kiss, you may need to chisel it a little bit. · For Easter, you can float a Peep on top of your beverage. · Garnish a crème-based drink with a sugar cut out cookie, like a star, heart or dress. · Put Red Hots into a cinnamon-flavored drink. 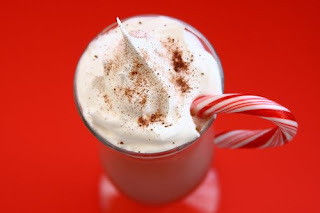 And of course, garnish a peppermint drink with a Peppermint Patty. · Any stick-like candy, like Twizzlers, make a fun garnish in a tall glass. · Add a blow pop to a high ball glass. · For blue drinks during the summer, add in some gummy fish. · Garnish peach-flavored drinks with those yummy peach rings. Slice the ring so you can hang it off the side of a martini glass.